Scientists at Tokyo Institute of Technology have addressed one of the major disadvantages of all-solid-state batteries by developing batteries with a low resistance at their electrode/solid electrolyte interface. The fabricated batteries showed excellent electrochemical properties that greatly surpass those of now ubiquitous Li-ion batteries, thereby demonstrating the promise of all-solid-state battery technology and its potential to revolutionize portable electronics. All-solid-state batteries are a new type of Li-ion battery, and have been shown to be potentially safer and more stable energy storage devices with higher energy densities. However, the use of such batteries is limited due to a major disadvantage—their resistance at the electrode/solid electrolyte interface is too high, hindering fast charging and discharging. 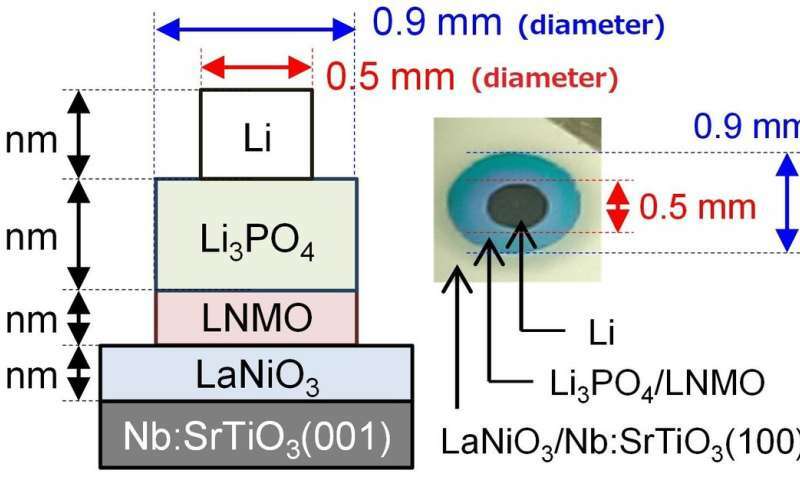 The resistance of this interface, verified using electrochemical impedance spectroscopy, was 7.6 Ω cm2, two orders of magnitude smaller than that of previous LNMO-based all-solid-state batteries, and even smaller than that of liquid-electrolyte-based Li-ion batteries using LNMO. These batteries also displayed fast charging and discharging, managing to charge/discharge half the battery within just one second. 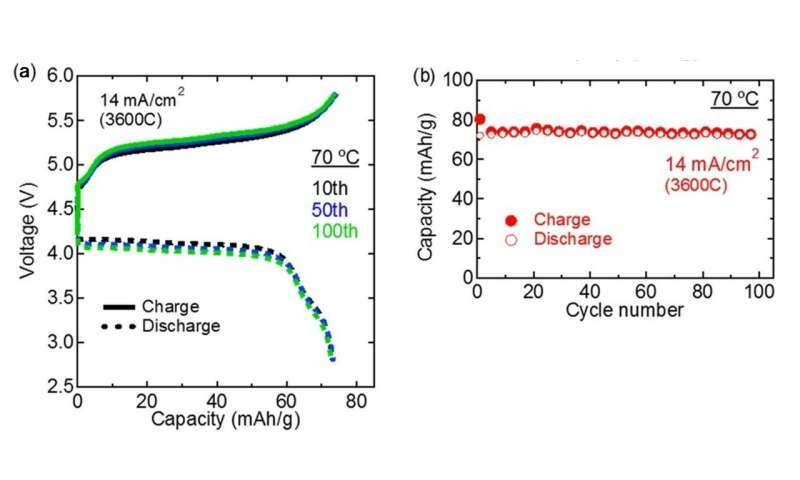 Moreover, the cyclability of the battery was also excellent, showing no degradation in performance even after 100 charge/discharge cycles (see Figure 2).